Products offered under this range are used to treat rust / corrosion of steel in various stages such as prevention of rust or Treatment of already corroded surface. Both these systems are important as it is required to store the products in original condition or to make the rusted surface usable. 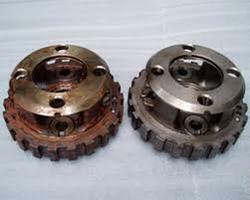 Rust converter eliminates the process of rust removal prior to painting. When applied on adherent rust, it converts Iron Oxide ( rust) to a complex Iron-Zinc-Phophate which acts as an excellent base for painting. 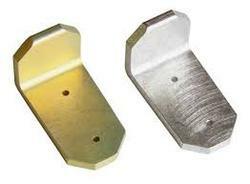 Unpainted Steel components during and after processing need to be temporarily protected from corrosion before it is either transported or taken for futher processing. The protection can be given for a period of 10 days to 6 months in case of wet type of rust preventive oil and further life in case of drying film type. * SARPO RP - These grades of rust preventive oils are meant for longer protective period of 2 to 6 months. these products are available in different viscosities. * SARPO DY ( Dry film rust preventive oil ) - This is a drying film type Rust preventive oil which forms clear films or tinted finishes of dyes such as golden, blue etc. Like steel, Aluminum also corrodes but it is not visible as the corrosion byproduct also has the same colour as that of Aluminum. 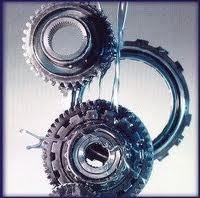 Chromating is a conversion coating which passivates the Aluminum surface when dipped in the solution. On chromating, the surface turns pale green in colour and high silicone content aluminum alloy turns grey in colour. Rust on steel is a product of oxidation of Iron resulting in corrosion. Steel sheets or components get corroded and rust needs to be removed/cleaned prior to plating or painting. We offer our product Sederust GL which is in safe to human skin liquid form, which when applied on rust by rag / brush, the oxide dissolves and it provides a temporary rust protection. This is suited as base coat for overcoat of primer and paint. Looking for Rust Treatment Chemicals ?